Toro Rosso expects to gain from even closer ties to the Red Bull F1 squad in 2019. Toro Rosso boss Franz Tost says his Formula 1 team expects to make a “step in performance” from its closer ties with Red Bull in 2019. Both teams race under the Red Bull umbrella and have enjoyed a far-reaching partnership for a number of years, with Toro Rosso primarily acting as Red Bull’s junior team to provide young drivers with their first steps in F1. For the upcoming season both squads will race with the same-spec Honda power units following Red Bull’s switch from Renault, and Toro Rosso expects the collaboration to aid its efforts. “The synergies project will allow us to aim for a step in performance without increasing the number of people,” Tost said. “We will buy some parts and have more minds and hands to design and produce all the others. “Components relative to the power unit will be the same specification as Aston Martin Red Bull Racing, to be used within the regulations. Most of the remaining parts we receive from Red Bull Technology will be last year’s specifications. Tost said Toro Rosso has made a number of organisational changes to its operation, while chief engineers from Red Bull and Toro Rosso will report directly to Honda engine chief Toyoharu Tanabe in a slight revision to his role. “The aim is to always improve in order to compete at the highest possible level and this winter we have worked intensively to bring a few organisational changes, which we hope will help smooth a few issues we experienced in the past,” Tost explained. “Compared to other teams, Toro Rosso count on a smaller number of people, but the synergies with Red Bull Technology for the non-listed parts, now that Aston Martin Red Bull Racing will also be equipped with the Honda Engine, will leave more time for our technical working groups to focus more on the details. 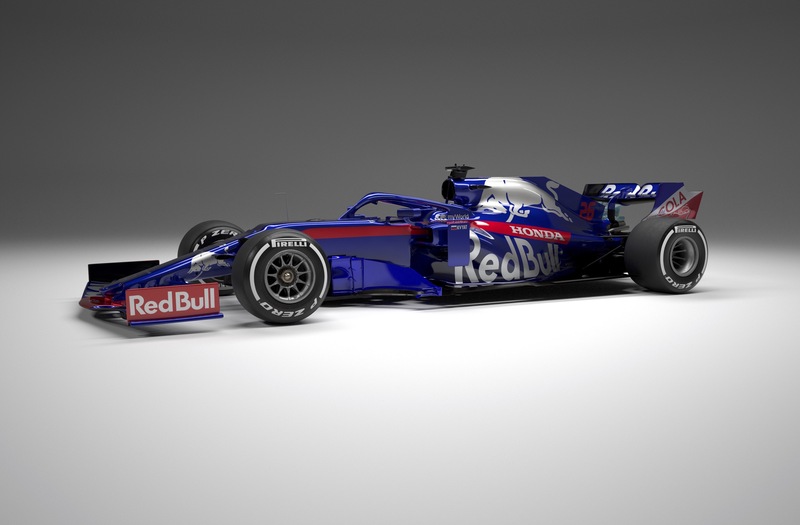 Asked if he sees the STR14 as being a step forward, Tost replied: “I do. Toro Rosso will field a revised driver line-up consisting of Daniil Kvyat and Alexander Albon as it seeks to improve on its ninth place finish in the 2018 constructors’ championship.